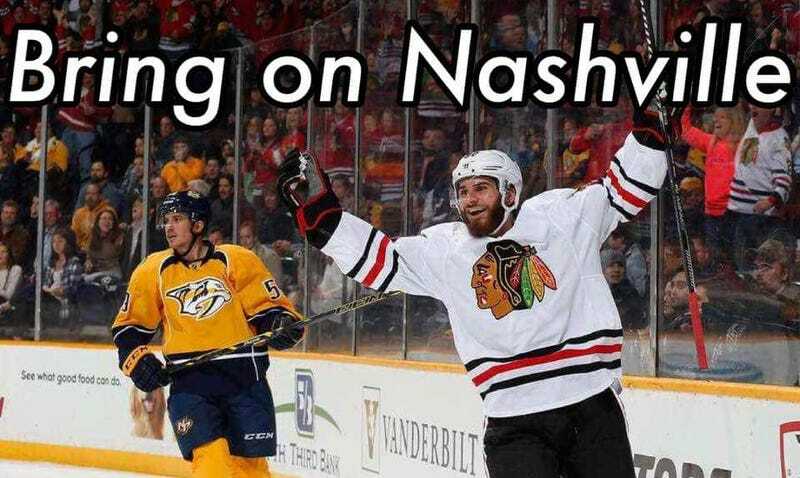 Thanks to St. Louis beating the Wild the hawks get a favorable first round match up against Nashvill. In the regular season the hawks had a 3 and 1 record against them and while Nashville has home ice if you've ever watched a predators home game against the hawks there is always more red than yellow so I'm liking our chances. Hopefully Patrick Kane gets medical clearance for hits in the next week or two and the Hawks and sustain their excellent goal Tending.